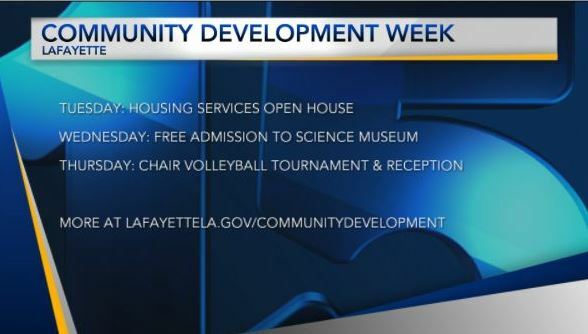 LCG’s Community Development Department is celebrating Community Development Week through Thursday in the Hub City. Other activities include a housing services open house on Tuesday, free admission to the science museum on Wednesday, and a chair volleyball tournament and closing reception on Thursday. Find out more at lafayettela.gov/communitydevelopment.